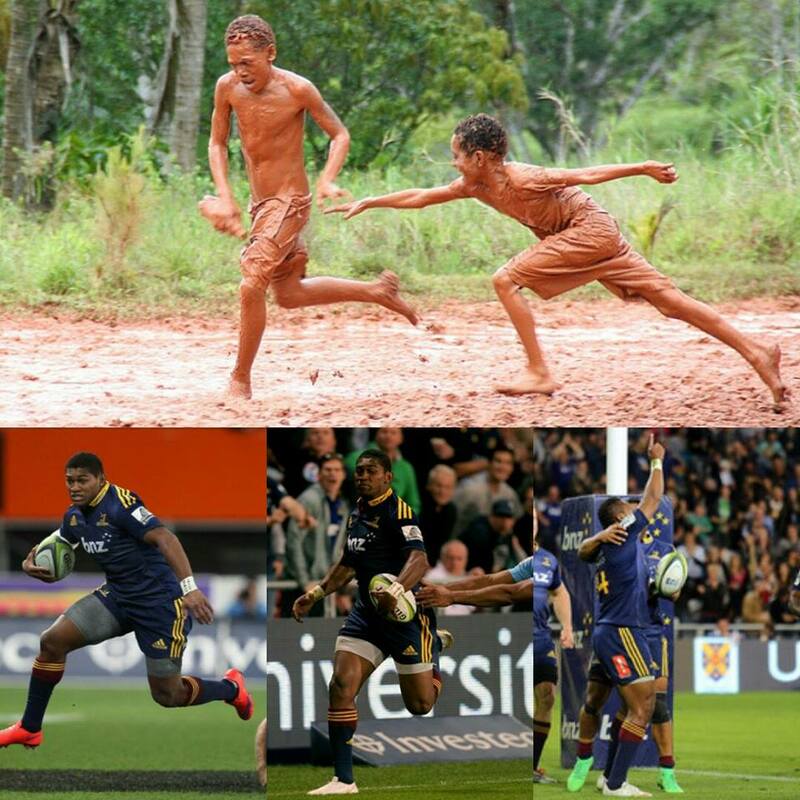 Not long ago, Naholo ran around with his friends in Sigatoka, throwing about a plastic bottle in lieu of a ball. Had he dreams of greatness, he could certainly see a blueprint, with countrymen Joe Rokocoko and Sitiveni Sivivatu making their All Blacks debuts while Naholo was in adolescence. It’s a season that has seen Naholo earn elevation to the All Blacks – and a season that was entered as a last hurrah in New Zealand rugby. It seems improbable, given his exploits this season, but in February Naholo had given up on cracking it in his adopted country and decided to cash in, aged 23, and move to French club Clermont. During Naholo’s first three seasons in New Zealand’s top tiers, he was far from an All Black-in-waiting. He played well enough to find his way to the Super Rugby fringes, including an unlucky stint with the Blues, but little evidence suggested what was to follow. Naholo – blessed with a bevy of the physical skills, including speed, strength and an ability to deceive – was unable to harness the sum of his parts into the whole package. Then the last 12 months happened. But, rather than greatness, a simple desire for education and employment spurred a 16-year-old Naholo to shift across the South Pacific and settle in Whanganui with an uncle. And, as opposed to Rokocoko and Sivivatu, destined for black as they ascended in provincial rugby, Naholo endured a setback or two before being named in Steve Hansen’s first squad of the year. Such a call was some way off in 2009, when he made his first-class debut for Whanganui, scoring six tries on Saturday and Sunday afternoons after spending his weekdays at City College. In 2011, having helped New Zealand defend their Under-20 world title in Italy, Naholo was snapped up by Taranaki. Two years later, the Blues called. In Auckland, Naholo’s progress stalled. He played just two matches and scored one try in 2013 but, before the Blues are entirely lambasted for failing to shine the rough diamond, consider a couple of salient factors. First, as part of the Hurricanes’ wider-training group in 2012, Naholo’s promise was also overlooked by another Super Rugby franchise. And second, lost in the bright lights of the big city, a nervous Naholo floundered without guidance at the Blues, stuck in a self-defeating spiral of a lack of game time and lack of confidence. His self-assurance was rocked to such an extent that Naholo, having returned to Taranaki, failed to cross the tryline in six matches, with the electric running for which he would become known almost entirely absent. In 2014, though, Naholo flipped a switch. Playing with a winning team helped, as Taranaki stormed to the premiership title, but there’s a bit of chicken-and-egg about that scenario – Naholo scored nine tries and was one of the driving forces behind the success. Naholo parlayed his breakout campaign into another Super Rugby shot with the Highlanders but, before the campaign began, he signed a two-year contract with Clermont, securing his future before heading into the unknown in Dunedin. In the deep south, Naholo found home, enjoying the environment, connecting with fellow Fijian winger Patrick Osborne and eventually reneging on his French deal. And his comfort on the field was obvious – 11 tries saw Naholo break Jeff Wilson’s 17-year franchise record, while he led all Kiwis in clean breaks (30), defenders beaten (54) and metres gained (1310) in Super Rugby. Hansen called him “something special” after reading his name last Sunday. Naholo, not near a television, believed the news only after texts began to flood his phone.